Nifty found short term resistance around 10500 zone and currently in the phase of short term correction. Trading sentiment and profile sentiment both turned to negative mode which brings more downside pressure for nifty in the very near term. On the downside 10350 and 10248 are the two major focus levels to watch in the very short term. Market Internals are strong which brings the possibilities of sharp downward corrections followed by sharp upswing rallies. Interestingly short term inventory is long to too long for last 5 consecutive trading sessions as shown in the trading sentimental dashboard which puts immediate pressure on any immediate buying activity. 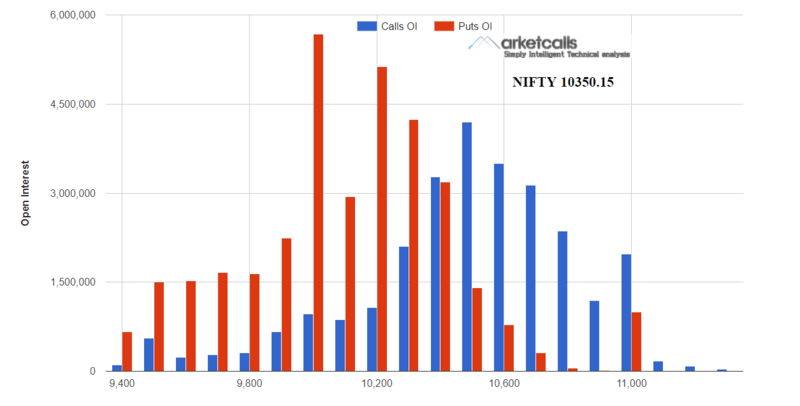 10500 and 10600 call writers are active in the last 4 trading session trying to defend the short term resistance levels 10500 on the higher side. PCR at 10500 and 10600 strikes maintained at 0.34 and 0.22 respectively. Put writers on the other side continue to be aggressive at 10000CE, 10100CE, 10200CE, 10300CE. Overall a high volatile range bound expiry is expected for this series. Its a triple distribution formation on tuesdays trading. 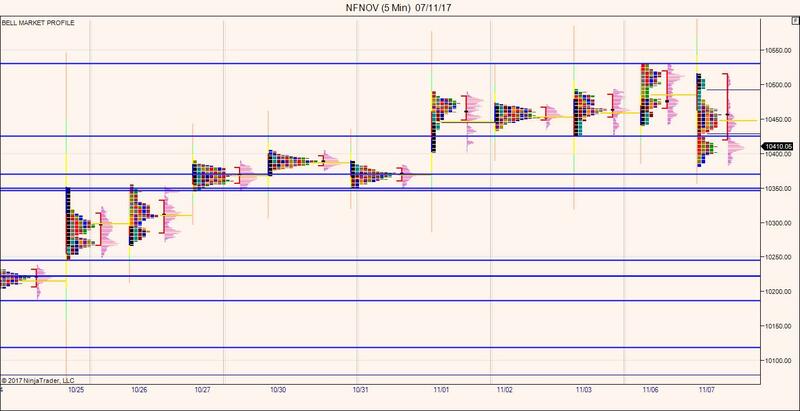 From the profile perspective inventory is still too long and short term stops are built around 10350 levels(double poor low reference). And the 1 point gap created on 25th Oct (November Contract) has the higher odds of getting tested in the very near term. Short term resistance formed around 10424. Only a price acceptance above 10424 and price closing above 10424 on EOD basis will change the profile sentiment to positive.